This is a super easy \\\\\\\"fake-out take-out\\\\\\\" meal! Saves your money and time - enjoy! In a small mixing bowl toss the beef with the oil and cornstarch. Place into the base of the slow cooker. In a mixing bowl, whisk together the crushed garlic, minced onion, minced ginger, soy sauce, water and brown sugar. Pour over the beef in the slow cooker. Add the shredded carrots and crushed red pepper over the top. Set on low and cook for 4 hours. If you need to cook it on low for 8 hours, add an extra ½ cup of water. 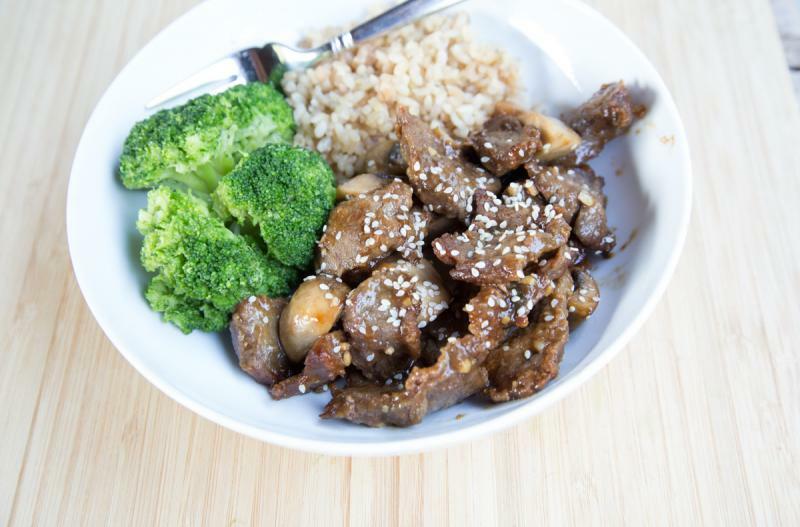 Serve Slow Cooker Mongolian Beef over rice with veggies and optional green onion garnish. Toss together 3 lbs. 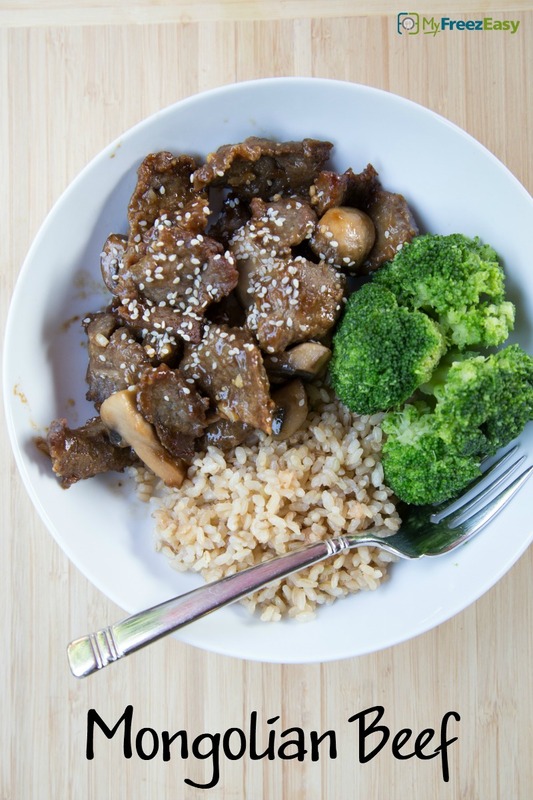 beef strips with 4 Tbsp canola oil and 4 Tbsp cornstarch. Whisk together 4 crushed garlic cloves, 2 Tbsp minced onion, 2 tsp minced ginger, 1 1/3 cups soy sauce, 1 1/3 cups water, 1 1/3 cups brown sugar. Put baggie in the freezer and freeze up to 6 months in fridge freezer or 12 months in a deep freezer. Thaw in a warm bowl of water for about 20 minutes, before transferring to the slow cooker and cooking on low for 4 hours. Thaw and add contents of the bag to slow cooker. Set on low and cook for 4 hours.